What mod is the 2000-2003 truck i want it? A new breed of Muscle Car has just left the Gavril Showroom. Given a Retro style, a rev happy engine, and a rebellious attitude, the Gavril Barstow is back to give the dying breed of Renegades one last hurrah. SC: This is the base version of the Barstow, it comes with a 3.5L V6 that makes 250hp and the choice of a 5 speed automatic or 6 speed manual. GT: The Mid Trim Barstow comes with all kinds of features, including a sunroof, GPS, Shift Light, Heated Seats, a 375hp 5.7L Bandit V8, and a choice of a 5 speed automatic or 6 speed manual transmission. Renegade: This is the highest trim of the Barstow, the best of the best, the most ferocious monster in the den. It comes with a Supercharged 6.1L Beast V8 that makes a whopping 580hp and only comes with a 6 speed manual transmission. Drag: Well, someone just took the best and made it better. This Barstow Renegade has been given a stripped interior, a reinforced frame, and a Supercharged 7.1L V8 making over 850hp to the Semi Slicks in the back, and it comes with a 3 speed automatic transmission built for getting this baby up to it's top speed of 220mph as fast as possible on the strip. Gavril D-Series thru the years.. The 1994-2000 Gavril-D-Series is actually the 1988-1994 Gavril D-Series, also, 1994-2000 should be 1994.5-2000. The Gavril SD-Series is for people who want to get a truck but don't want to drive something as big as bus. The SD may be smaller then the regular D-Series, but it's just as powerful and popular. HD: This Gavril SD is available as a single or extended cab with RWD or 4WD and a 4 speed Automatic or 5 speed manual transmission. Comes with a 165hp 4.3L V6. Custom: This Single Cab SD-Series has been given a supercharged 6.6L V8 that makes 565hp, a 6 speed manual transmission, Semi Slick tires, a bed cover, a aftermarket gauge cluster, and a aerodynamic Body Kit. 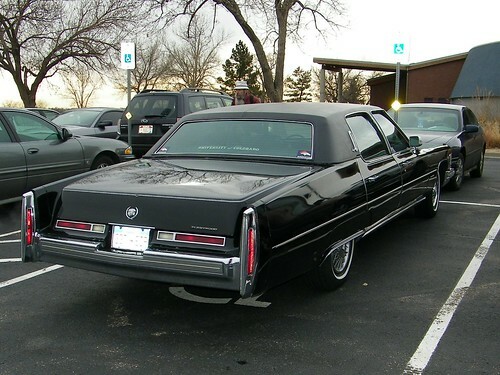 ...1970s luxury American fullsize sedan. Mainly based on the 1974 Cadillac Sixty Special Brougham, but with a Lincoln Continental-inspired opera window, front end and interior. Perimeter frame, front-engine RWD, front 2-wishbone, rear 3-link solid axle suspension. Base - Equipped with a 507 ci 240 HP/435 ci 205 HP V12, a 3-spd automatic, an open diff, rear air suspension, 15x8 hubcapped steelies with 225/80 R15 whitewall tires, a vinyl roof and a leather interior. Luxe - As above, but with a hood ornament, a dual sunroof and a luxury velour interior. Armored - As above, but with no sunroof bulletproof windows, run-flat tires, extra ballistic protection and a kevlar roof. Beater - Based on the Luxe, but with a dented-up, rusting body, faded paint with the vinyl top ripped off, duct tape around the sunroofs, missing trim pieces, worn interior, worn drivetrain, sagged suspension, cheap blackwall tires, no hubcaps and a wide array of bumper stickers (e.g. "Reynolds Bolger San Amaro", parking passes from 1976 to 1978, 80s political campaign stickers, "I don't get mad, I get even", "KGAT 99.9", "Insured by the Mafia - bump into us, we'll bump into you", etc.). Derby - Based on the Base, but with hood exit exhausts, a prebent frame, a stripped interior and exterior, welded hood, doors and trunklid, a derby paintjob and rollbar, no hubcaps and 215/70 R15 tires. Custom - Based on the Luxe, but with a vinyl roof covering the opera windows and leaving a "diamond" rear one, a landau roof "hinge", a custom grille, gold trim, side pipes, fake wire wheel hubcaps, a continental spare tire cover, a leopard print interior and a TV set inside. Lowrider - Based on the Luxe, but with a chromed, tuned (315 HP) engine, stronger frame, hydraulic lowrider suspension, 18x8 wire wheels with 215/40 R18 tires, no vinyl roof, a custom green lowrider paintjob, a green interior, a bobblehead, a "chain" steering wheel and gear lever and a rear plaque saying "East Side Locos"
Hot Rod - Based on the Luxe, but with a supercharged engine (475 HP), an LSD, sport suspension, sport brakes and 15x7/15x9 muscle car alloys with 215/60 R15/ 265/55 R15 tires. Wicked. That would be cool. Mate. The closet you could get is the 80s fullsize. Good idea though. I think they should make that asn official car. Ive only realised. 68/9370 of these suggestions hae been made. Ive only realised. 68/9370 of these suggestions hae been mde. Thats like the car from my summer car. BeamNG can't make IRL models, any ideas on making the idea more original (name, features, asthetics, etc)? You want a drivable casset player? OT: I suppose I could give another rant about what I wish to see in game. In terms of physical size, the largest gap in the current vehicle lineup is the H-Series to the T-Series. A medium duty truck would fit nice in here. I've always liked the look of vehicles like the Chevy Bruin, which would share a lot of parts with existing Gavril vehicles. Another option would be something like a Unimog, as they are well known, versatile, and European. European vehicles are rather lacking at the moment, to say the least. We currently do not have any British, French, or Swedish vehicles. The British certainly need a roadster, roadsters and the Rovers are what they are known for. Something along the lines of an MG would be highly customizable and fun to drive. The French are best know for Citroen's weird cars, but I don't think that's the best route to take. 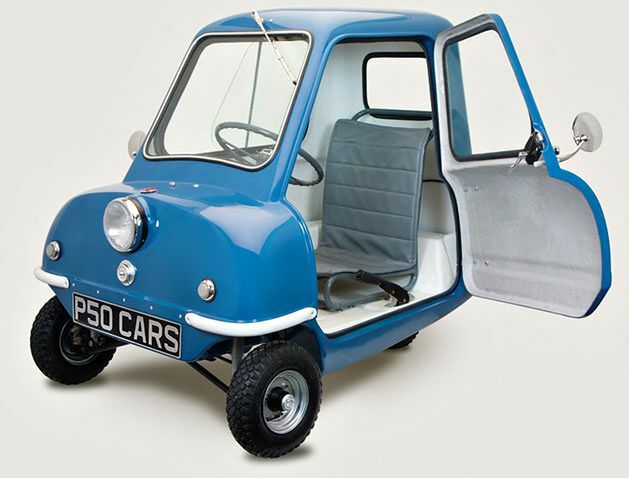 Perhaps a modern city car, just as an excuse to get something modern in my suggestions list. An older city car to compete with the Covet is also a possibility. Regardless, any French vehicle needs the hood to fly open at when the vehicle is at highway speeds. The Sweedes have a lot of options. I'd be happy to see nearly anything inspired by a vintage Volvo. The Russians/Soviets, Chinese, Koreans, and Australians are also missing. The Chinese car industry, well... Let's not talk about that. Some sort of Lada inspired vehicle would be nice to see as Soviet passenger cars are always ignored in games. As for Korea, the Stinger GT is one of my favorite cars and something along those lines would be the first modern sporty sedan in game. And of course the Australians need a ute. As many Japanese vehicles as we have, there are no Japanese muscle cars.The Miramar just does not fill this niche at all, as much as it feels like it is trying to. If I tried to get into this, I would just have a long list of vintage Nissan's and Toyota's that I love. So I'm not going to get into this. Just saying though, the Mazda RX-3 is under appreciated. Just saying. A pre-war American car would be great to see. Something that old would behave a lot differently than anything we have in game. A 1940's coupe would be highly customizable and unique to the car list. A vintage MOPAR styled muscle car would be great to see. When I see the Barstow I can only think of how lonely it is without it's boxy contemporary. Modern vehicles have gotten big, and in my opinion there is no better way to show that then comparing a modern pickup to an older one. Plus, we already have the platform for the preceding and succeeding generations of D-Series (Roamer is based on the succeeding one and Gabe said the one in game is based on a previous gen one). That would be a lot of D-Series trucks, but those other two generation trucks would be an easy way to get more vehicles in game, and a modern version would be great to show just how much things have changed. An SUV based on the current D-Series would be cool, just because old SUV's like the Bronco and Ram Chargers are awesome. The Tundra is definitely one of the more underated cars in the supercar class. The prototype was first seen at the Belasco Motor Show. It had a pretty good reputation because it was pretty futuristic. It had electric windows and doors that make a sound when opened! But Civetta at the time was lacking money so the production was stopped. Daily Driver: Someone drives a Tundra 300 trim everyday! Its truly a headturner and has aftermarket safety tools like ESC. 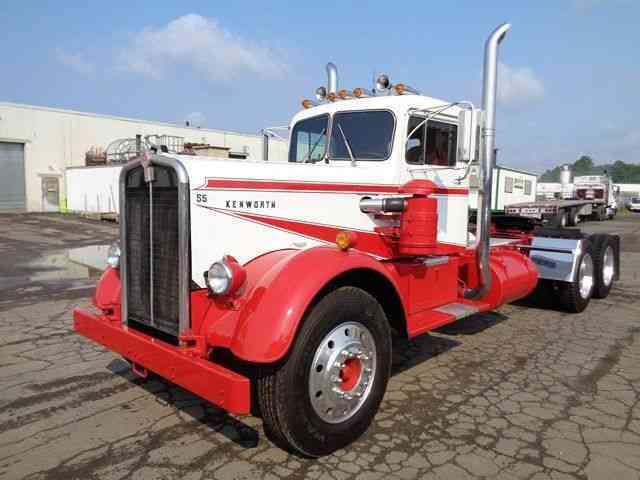 The 58' Roadstar was a very innovative truck. It was the first of its kind. It was the best selling truck for 2 years. It also came in two body styles, the R1 and the R2. The R1 had only one axle in the rear while the R2 had two. It came with only one engine, the 10.6L I6 WRE Diesel. (WRE stands for Wentward Roadster Engine. Any suggestions?) It came with a variety of turbochargers and all came with a 11 speed RWD trans. I'm really not good at names or descriptions so I'll get straight to the point. Or maybe just add the nose as a config for the T-series.